In a bid to fight malnutrition, the Centre seems to be heading towards fortified food as a possible solution. The Indian Council of Medical Research (ICMR) has come up with a micronutrient that will likely to be opted for by government for its flagship programmes. ICMR Director Saumya Swaminathan said that policy makers (Ministry of Health & Family Welfare and Ministry of Women & Child Development) were actively looking towards fortified food to deal with malnutrition and that the new product by ICMR could be the solution. According to Swaminathan, the product has been tested on 400 children in Nalgonda district of Andhra Pradesh in 2014. During initial research, scientists found that anaemia among pre-schoolgoing children came down from 48 per cent to 10 per cent. As per officials, there was an impact of micronutrient on cognitive activities too. The micronutrient tested by the National Institute of Nutrition has seven micronutrients, including two minerals and five vitamins. These include Vitamin A, Vitamin B12, Folic Acid and Vitamin C.
Swaminathan added that the ICMR was in touch with the health ministry to conduct a larger state-level study. She suggested that the government could include the new product in mid-day meals and as part of the public distribution system. Recently, Union women and child development minister Maneka Gandhi had pitched in for the “controversial” idea of packaged micronutrients. In an event organised to release reports on nutrition, Gandhi had said that a centralised food system would solve the malnutrition problem. Fortified food as a solution to fight undernutrition has been a controversial issue in India for decades. Notably, the Supreme Court has repeatedly advocated self-help groups and local communities to provide locally-prepared food since 2004. Experts have also suggested that this is the best solution for food-related malnutrition. This is not the first time when packaged food has been endorsed as an answer to malnutrition. In 2013, Lancet, a UK-based medical journal, published papers that called for engaging the private sector in fighting malnutrition. 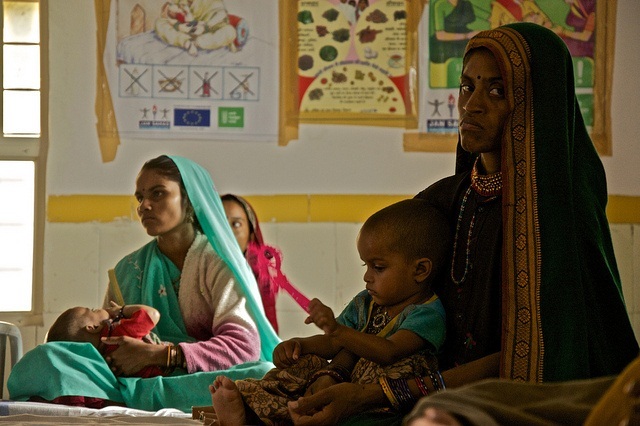 In response, several health experts had cautioned the Indian government about the possible commercial exploitation of malnutrition in the country. They also sent a letter to the health and women and child development ministries warning it against any such move. The Integrated Child Development Services, the largest scheme of its kind, is a big business opportunity for the private sector, experts say. ICDS serves all children under six years of age as well as pregnant and lactating women. The size of beneficiaries under the scheme is more than 100 million.